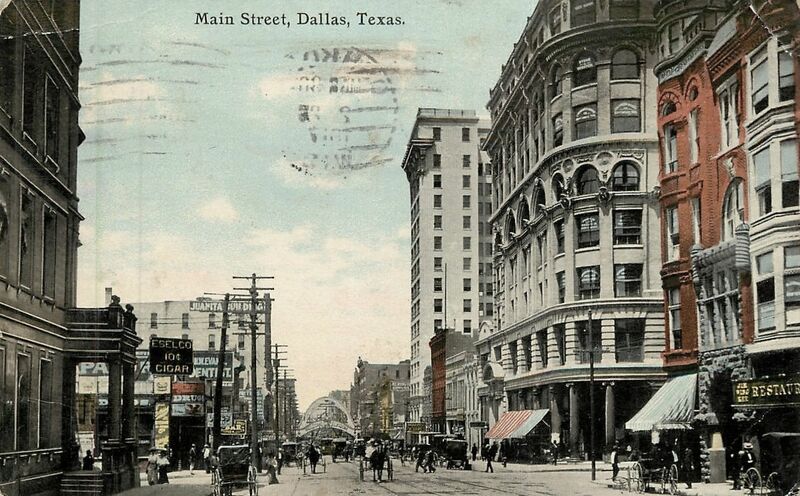 Without question, the most popular view of downtown Dallas offered to postcard buyers in the early years of the 20th century — the one repeated over and over and over — is Main Street looking west from Ervay. The constant is the Wilson Building, which opened in 1904 and has elegantly held the fort at the northwest corner ever since. 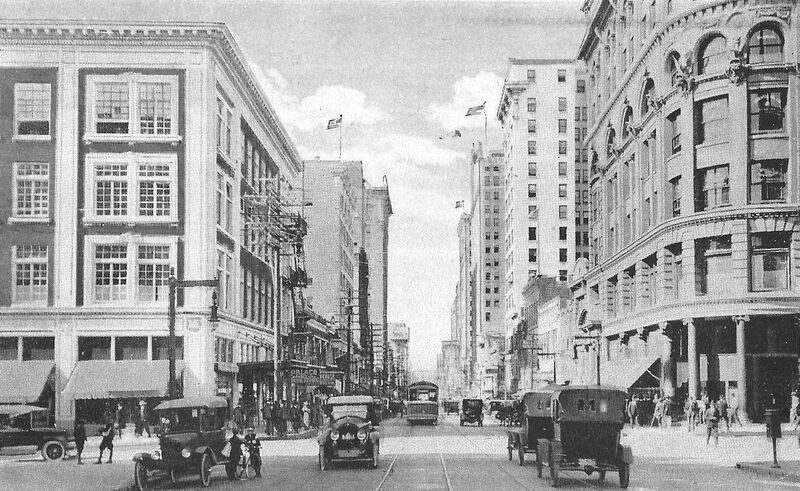 Later came the skyscraping Praetorian Building at Main and Stone. 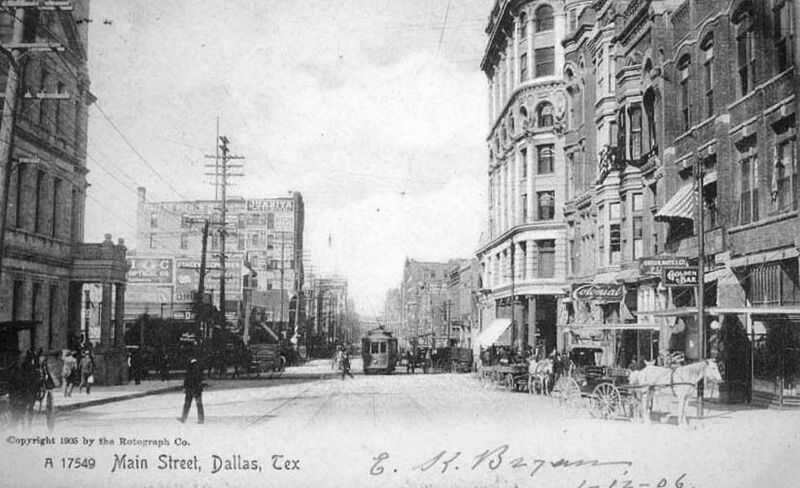 And a few years later, Neiman-Marcus arrived at the southwest corner of Main and Ervay to firmly establish the intersection as one of the city’s most impressive. I love these colorized postcards, but it’s always interesting to see them drained of color — they look more realistic, but they still have that air of otherworldliness. Here are a couple more. This one is lacking Neiman’s (built in 1914), taken around 1908 or 1909 (the Elk’s Arch can be seen in the distance). And this one, before the Praetorian Building was built in 1907.